The president's office of the Formentera Council announces that from February 11 to March 31 islanders living in homes in rural areas near Sant Ferran, la Savina and es Caló can request a post office box at the pick-up point recently set up at carrer Mallorca, 15, in Sant Ferran. The idea is to make it possible for islanders living in es Brolls, ses Salines, es Molí de s'Estany, sa Punta, es Pi des Català, ses Roques, Migjorn, es Carnatge and ses Clotades the chance to pick up their post at the new station. Department head Bartomeu Escandell said the initiative followed “the popularity of P.O. boxes in la Mola and es Cap de Barbaria” not to mention “requests the service be extended across Formentera so that islanders who don't get door-to-door delivery can skip the trip to the Sant Francesc Correus location”. Anyone who wishes to apply for one of the 150 available P.O. boxes will need either to visit the Citizen Information Office (OAC) in Sant Francesc and fill out a form or complete the process online on the OVAC. After March 31, the Council will inform islanders when their keys—one to get into the shopfront, another to open their individual box—are ready for pick-up. One box will be assigned per household. Applicants must present proof they are on the island's register of residents (padró) and a photocopy of government-issued photo ID. They must also pay €25. Today local decision makers gathered for the Formentera Council's monthly plenary session, a gathering that was marked by new motions to regulate tourism which will enable additional lodging to be classed for holiday rental. Participants came together to give initial approval to a tweaking of a tax bylaw underpinning a levy related to administrative services in tourism. 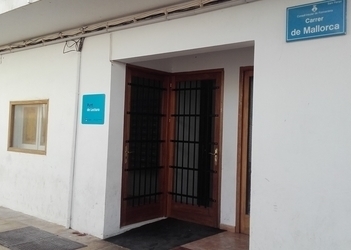 Department head Alejandra Ferrer described the new mechanism as “a €300 fee, valid five years, for administrative processing of a vacation rental permit” and a “€150 fee for remodels”. Unanimous backing was also secured for a bylaw regulating the per-bed cost of permits to rent out accommodation. “Each household will be charged €70 per year per bed”, explained Councillor Ferrer, “plus five per cent for each additional bed”. Hence, the first bed will require payment of a €70 fee; the fee for a second bed will be €70 plus five per cent (€73.5); a third bed, €73.5 plus five per cent, and so forth. The maximum cost is set at €119.72 for twelfth beds. Cross-party support was scored by the first vote on the so-called “Plan for Quality in Vacation Rentals” which involves setting guidelines for single- and multi-family homes. Ferrer described the Pla de Qualitat d'Estades Turístiques as “baseline standards for furniture, hygiene and the conditions that a particular home must comply with to be eligible”. Some of the guidelines contemplated within the Consell d'Entitats would require homes to use renewable energy, or provide space to park a bicycle. Twenty-six of the preconditions are non-negotiable; other criteria, of which there are 20, would be applied distinctly, and only 14 would be required for a dwelling to be eligible for rental. One last order of business on tourism, a measure to modify a piece of legislation already approved by the Govern balear, scored approval as well. Councillor Ferrer described the measure as “covering a large swath of the 'Plan for Quality' preconditions as well as the non-negotiable parts of the regional tourism legislation such as possessing a 'habitability cell' or other similar document; presence of stand-alone water metres; and other green measures”. 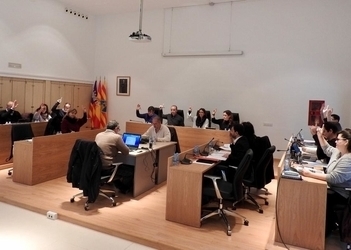 Councillors sought summary treatment of the motion, which passed with “yes” votes of the senior councillors from Gent per Formentera, the abstention of the Socialists and Compromís and “no” votes from PP party members. 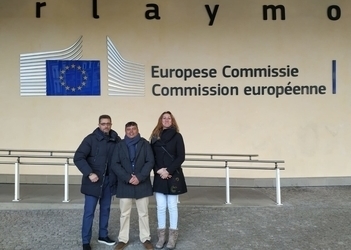 Assembly members were united in their support of the terms of a 2019 partnership between the Formentera Council and the island's Audiovisual Cultural Association (ACAF) regarding content for Ràdio Illa, Formentera's public radio station. Cross-party support also came for a proposal to adhere to two regional protocols concerning children, one on sexual abuse (ASI) and another on sexual exploitation (ESI). The Council participated in drafting the proposed measures, which CiF social welfare councillor Vanessa Parellada said included “one in particular that streamlines coordination between branches of the public administration that intervene in cases of child abuse or sexual exploitation”. According to the councillor, “it is imperative that we act with minors' best interest in mind and that the Council continue working to raise awareness among local groups about this issue”. The assembly also came with unanimous support for two proposals formulated by PP party members. The first calls on Madrid to modify its spending plan for 2019 to include more money for local road upgrades. The second would urge the government in Palma to fund a direct line of school transport between Sant Ferran and Sant Francesc as well as improved general funding for Formentera schools. 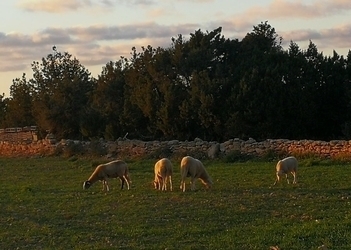 Cross-party backing was likewise given to a Socialist measure to urge the Formentera Council to “put in place a push to educate dog owners about the need to use leads”. Mobility councillor Rafael González appeared before the assembly to give account of his departments' operations during the current legislative term. He drew particular attention to the regulation of vehicle ingress, which he described as “of the most time- and energy-consuming initiatives under [his] charge, including for other members of the assembly, outside entities, staff and collaborators”. The work has given way to “a piece of legislation for Formentera's environmental and financial sustainability”. 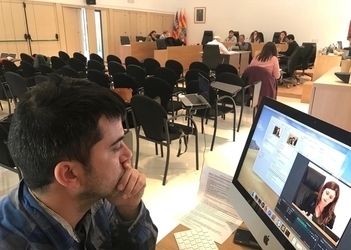 The councillor announced that the week of March 4-8, gatherings would be convened with the Consell d'Entitats and the so-called “Spokespersons' Committee” (Junta de Portaveus) to explain the proposed parameters of application. González added: “If approval is secured, we'll be on track to have a system of regulation in place in time for the high-traffic summer months”. Until then, the councillor asked for optimism and patience “while the administration works on delivering on the proposal”. Unanimous support also came for the administration declaration on World Cancer Day, Monday February 4.